Hello, friends! It seems like it’s been a while! Long time no blog. I’m barely sneaking in with a Thursday post here and have been busy enjoying…life, I suppose! Nothing new in particular, not busier than usual, but simply not been on the computer much. Despite sometimes feeling the “need” to keep up with other bloggers and stay connected, it’s nice to not feel the pressure to blog or spend what ends up being a long time on the computer (for me). On an unrelated note, and in the spirit of alliteration, I thought I’d come at Thursday from a thing perspective and check in with thoughts from the week. Join me, won’t you? 1. My blog is still getting a bit of a facelift; unfortunately the photos aren’t showing up from previous posts and I’m not aid to those helping me as my behind-the-scenes blog skills are lacking! Hopefully the issues are soon resolved; I am very thankful to these two, both part of the FitFluential family! 2. I made Jessica’s S’more Brownies for dessert for friends. I altered the recipe somewhat with a mashed banana (which had only a subtle flavor) in favor or subtracting one cup of sugar and experimented with adding crushed up graham crackers into the brownie batter before baking it. I know her version would have turned out tastier, but it was still a little evening treat! Oh – and now I’ve just remembered we have more of them leftover! Must.resist.the.late.night.brownie! …they were good. Beware the broiler! That things works its magic quick. 3. The weather is back to being cold in the mornings and nights (feeling more like winter!) but is warming up beautifully mid-day. Planned my run away from my neighborhood and out under the warm sun later today! Edited to add: The run was beautiful! Parts of the 10.22 miles were easy, but I enjoyed the movement and found myself with lots of energy and push to finish strong – felt great. 4. We’re going backcountry skiing this weekend! Pumped to finally get out there, even if it only is for 1 day. I LOVE being in the mountains with my man, especially when he’s got a good beard going on like right now. The beard has grown. And I love it. 5. Checking in on the eating…it’s been okay this week. I haven’t necessarily been eating junk, but simply too much of the good stuff. Know what I mean? Mindless munching or more volume than I need at meal times makes me feel sluggish and not as great about myself. It’s worth it to be mindful in your eating as it really does affect how you feel and feel about your body! Back on track today with a good egg, spinach, broccoli slaw and chia seed breakfast. 6. The TV-free week challenge is going great! The other night we admittedly did want to watch a Prison Break on Netflix, but we helped each other get our minds off of that type of relaxation and picked some books up instead. Although we’re still spending time on our computers, it’s been good, because we’re also spending time in others ways reading, connecting with people online instead of just surfing online and enjoying each other’s company (but that part wasn’t new). 7. I printed out business cards today! They aren’t your typical business cards but are in between business and post card size. I’ve had some in the past printed out from home, but today I took them in, got them done on good cardstock and they are ready to be handed out. Excited to continue moving forward in my in-home personal training business. Training others brings me so much joy! 8. My body feels tired today. I got up, got some work done around the house, headed out for 10+ miles, went to the store for a few goods, got my business cards made, baked and cooked with my friend Emily for another friend, came home to shower & make dinner for the man and the headed out to train some clients. GOOD DAY! And it just hit me hard: I’m ready for bed. So I think that ends our “Thursday Things” for the day! A posed picture to show you I’m sleepy. Thanks for following my Thursday Things! What would you add to the list? 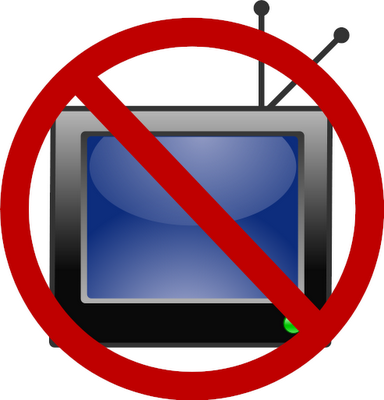 Anyone else doing the no TV challenge and being changed in any way? I was in the mood to veg out tonight but opted not to – holding fast to the week’s commitment! I love your Thursday things. I totally get the eating too much of the good stuff. Oh… The broiler. Why does it work so fast? 🙂 Fun that you made business cards. Have a wonderful weekend and have so much fun skiing. I’ve got to admit I’m begging on the couch right now in front of some pretty awful TV show. I should’ve joined your challenge. you are on fire, My FRIEND. Your Thursday things are awesome! Way to stick with no tv… Definitely something I want to work on!